The Acme School District provides all students with high quality educational opportunities through a shared commitment among home, school, and community. “provides all students” – This is good stuff. “All” students includes all segments of the student population. High performing and low, regardless of wealth, ethnicity, or any other characteristic, all students receive the service. “a shared commitment among home, school, and community” – This also is deceiving. Yes, creating high performing students should be a shared responsibility. However, what if the other two partners aren’t doing their “share”? This district is not going to accept the blame or increase their effort. limited commitment or plausible deniability has a way of appearing in our language even when we think it is hidden. Before I endorse a slogan by publishing it in my e-mails I now make sure I really agree with it. I’ve always thought my own district’s motto of “Every Child, Every Day” was kind of corny. However, it’s not exaggerating much because we really do own the results for all of our students and we’ll go to amazing lengths to help each student succeed every day. Very few of us are in the position to change the mission statement where we work, but it can be an enlightening and productive exercise to create your own personal mission statement. It should clearly reflect why you do what you do and what’s important to you. Don’t be afraid to display it with pride in a blog comment or email. 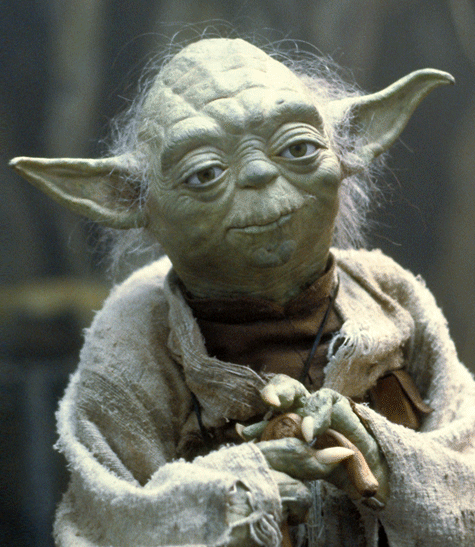 Posted on June 6, 2013, in Core Values and tagged Communications, Mission Statement, Slogans, Words, Yoda. Bookmark the permalink. Leave a comment.